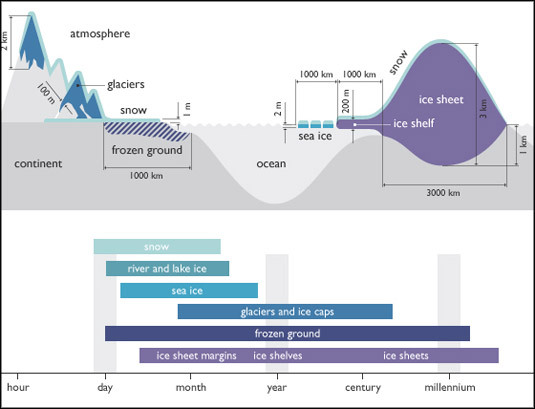 In Part A, students learn about the components of the cryosphere and where they can be found on Earth. 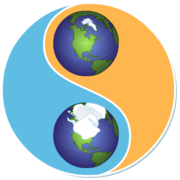 In Part B, they are introduced to some of the ways climate and the cryosphere influence one another, as well as how and why scientists study changes in our planet's snow and ice. 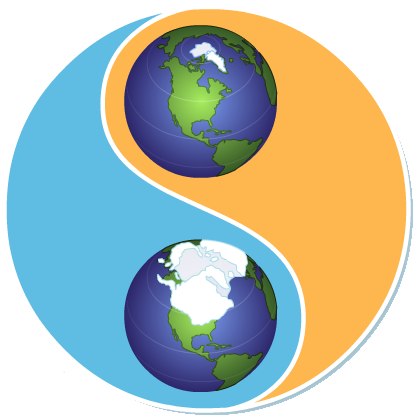 In Part C, students learn about some of the ways that humans, plants, and animals are connected to and affected by the cryosphere. 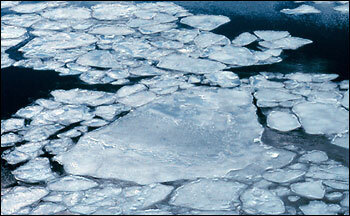 In Part A of this activity, students learn about how sea ice forms and influences ocean currents around the globe. In Part B, they explore how sea ice thickness changes over time. Finally, in Part C, students use NSIDC sea ice index data to explore how sea ice extent changes over the course of a year. In the first part of this lab, students will learn about land ice and the processes and timescales involved in glaciation. 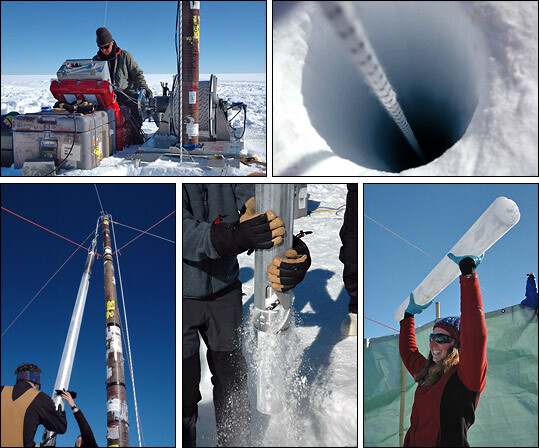 In Part B, they will learn about how scientists use ice cores to study climate history. 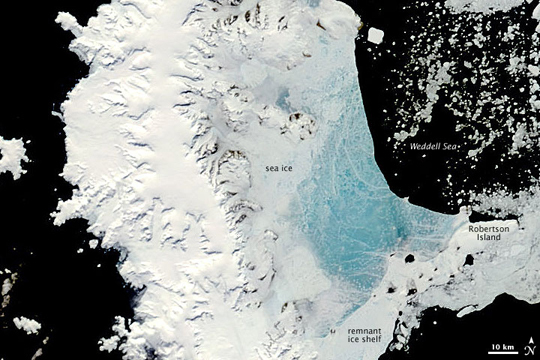 In Part C, students will use an online interactive to explore how Earth's temperature, glacial ice, coastlines, and sea level have changed over the last 450,000 years. In this lab, students will explore evidence of recent change in the cryosphere. 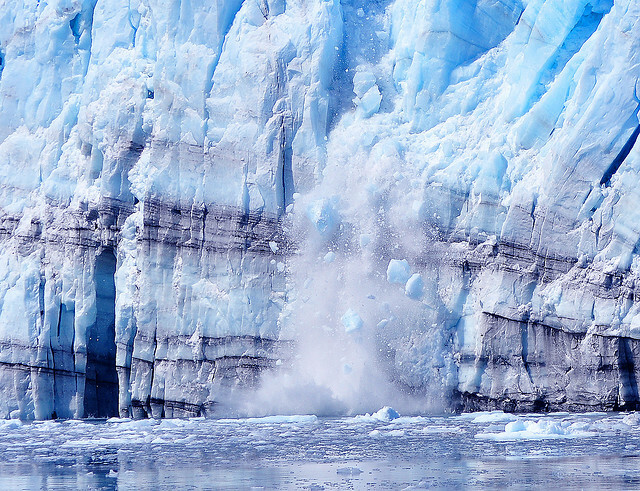 In Part A, they will use an online interactive to visually explore how six Alaskan glaciers have changed over the last hundred years. They will also use image processing software to measure how much area a glacier in the Himalayas has lost over time due to rising temperatures. 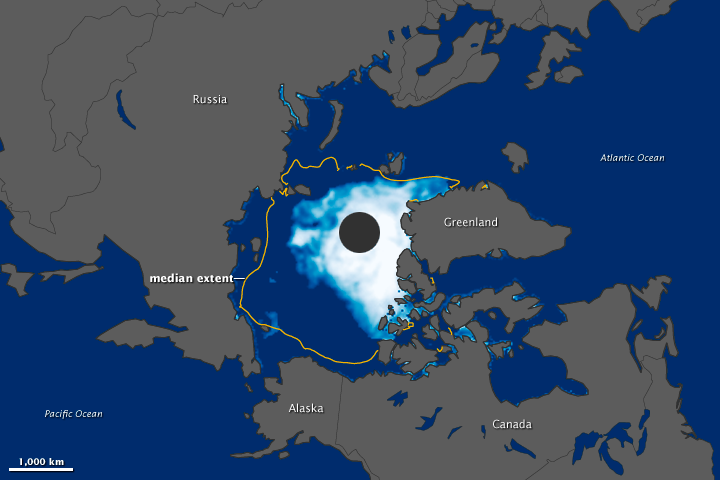 In Part B, students will study recent trends in Arctic sea ice extent and volume. In Part C, they will explore the ice-albedo feedback effect and think about causal connections between climate and the cryosphere. Several labs in this module contain Flash-based interactives. Visit our Flash Information Page for directions and to test that your computer is set up for Flash.